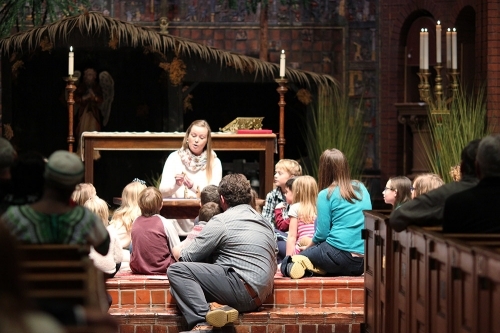 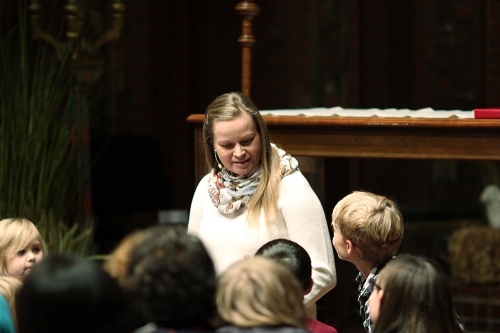 A mass for children of all ages! 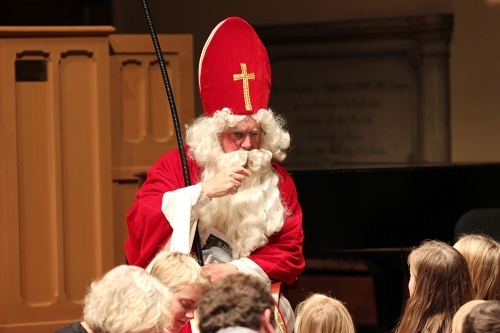 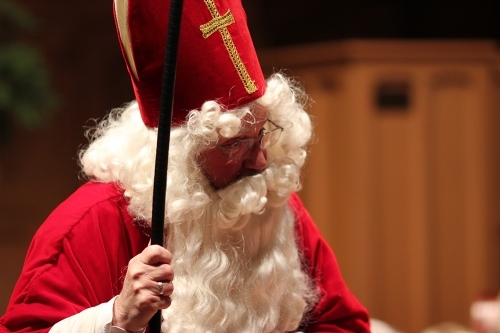 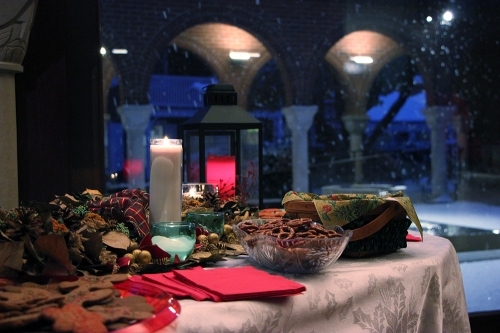 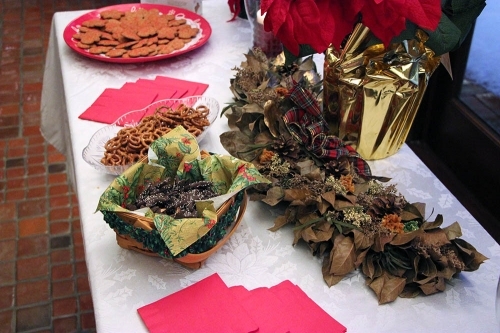 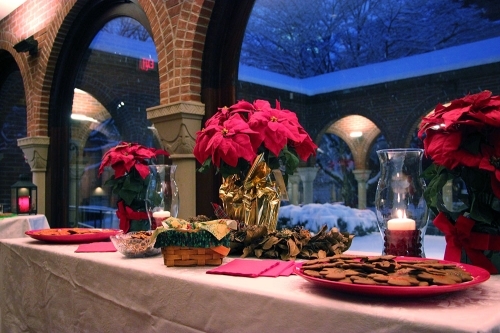 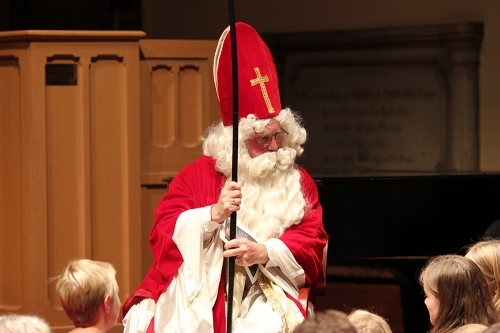 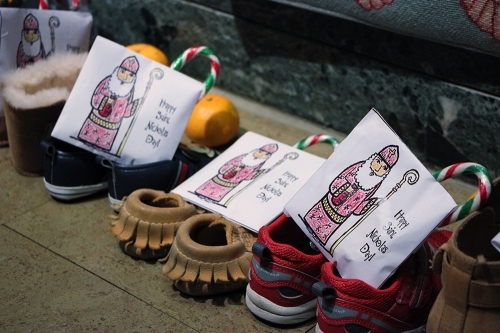 This delightful tradition at Saint James celebrates the life of Nicholas of Myra—better known to us as St. Nicholas. 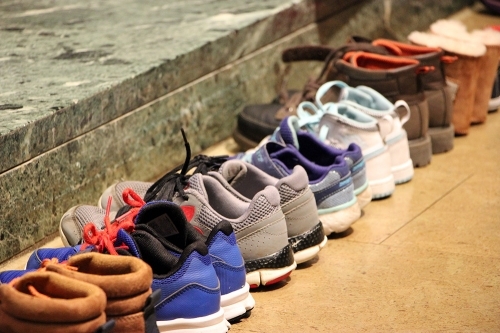 As families arrive for the evening service, children are encouraged to leave their shoes in the chapel before going to the sanctuary, in stocking feet, to take part in the mass. 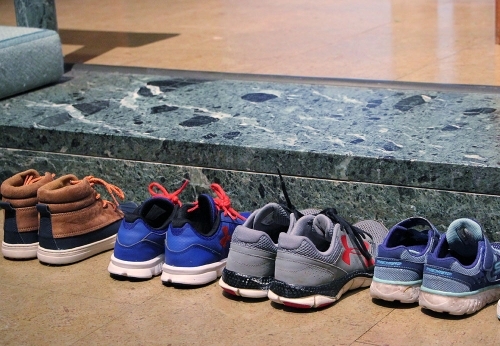 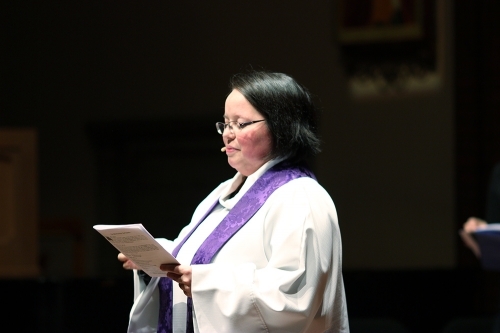 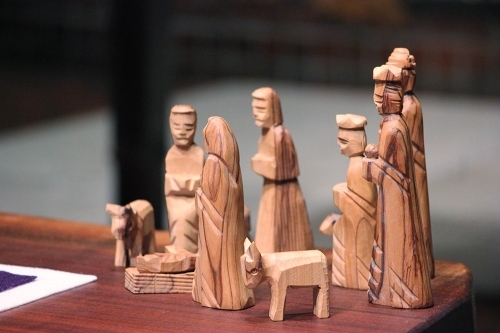 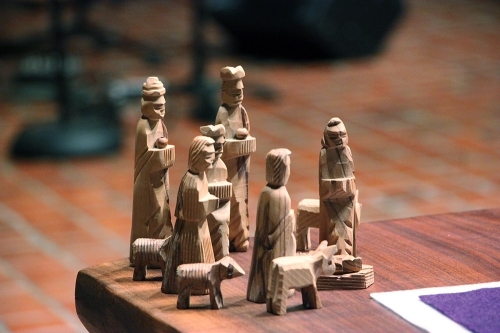 Not long after the service begins, a loud knock is heard at the church doors. 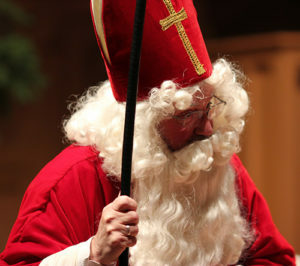 St. Nicholas has arrived! 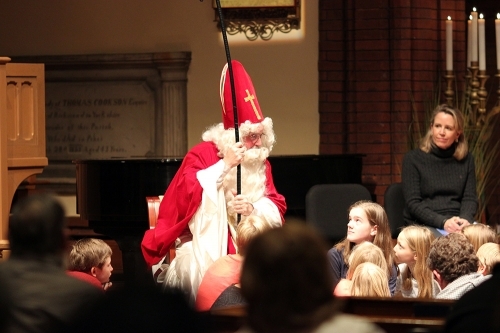 As he makes his way down the aisle, children are invited to the front of the church to learn more about this famous church bishop. 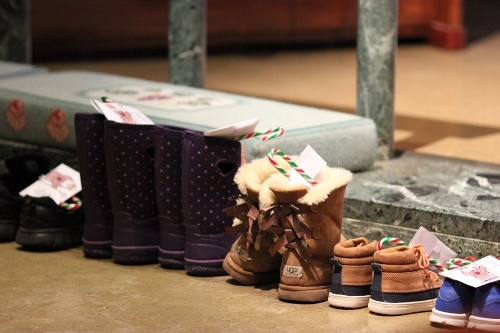 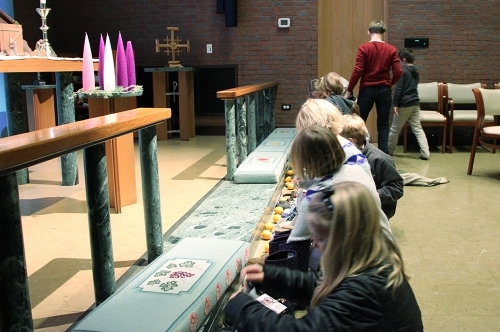 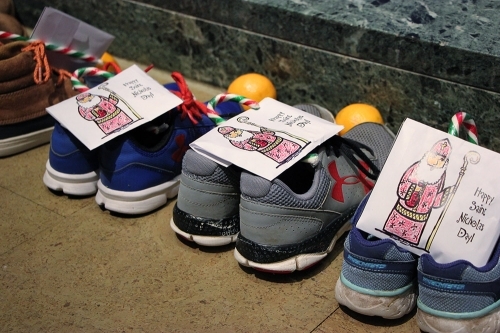 After the service, children return to the chapel to retrieve their shoes filled with treats. 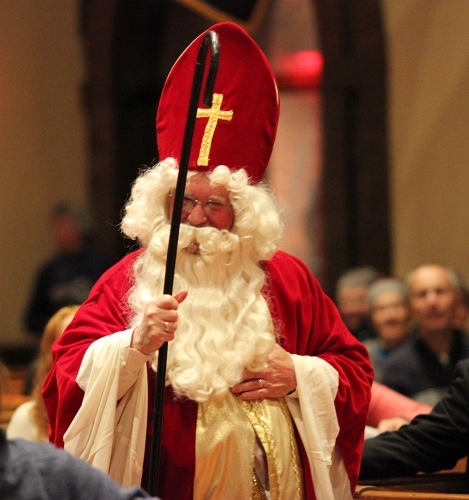 The mass is a reminder of the generosity of St. Nicholas and how we are also called to a life of generosity.